Amidst the greenery and serene farms and nurseries are three main townships that outline the landscape of Cameron Highlands known as Brinchang, Ringlet and Tanah Rata. Coming up from Tapah, it will be about an hour’s drive away where you will be welcomed by the town of Ringlet. The preceding towns of Tanah Rata and Brinchang are most vibrant. From Ringlet, the next town Tanah Rata is about 13 kilometers away while 3 kilometers further from Tanah Rata is where you will reach Brinchang. Ringlet the first town you will arrive to using the Tapah way, is renowned for its commercial and trading activities in Cameron Highland. The small town is a small and sleepy town which is more peaceful as compared to the other two. Even if that is so, Ringlet houses its own attractions although that is very much limited. The small town, elevated about 1,200 meters is typically warmer than the other two towns. There are a few rows of shops in Ringlet, which closes at night fall and some other shops around here like a petrol station(Petronas and Shell), some food outlets and convenience stores. Essentially, tourists do not stay around here as it is quite far away from the attractions further up the highlands. 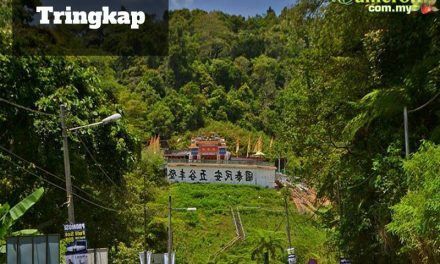 Since it is located about 13 kilometers from the next town of Tanah Rata, you will have to take either a taxi or a bus in cameron, where the activities congregate. To say the least, Ringlet is a typical residential town just like any Malaysian town and is a great place for a short driving rest or just for a short break. Ringlet houses some vegetable and fruit farms, which are the main produce here. A further drive up the highlands will get you to Tanah Rata. The administrative town houses more offices and is a more commercial center compared to Ringlet. The District Council’s office is located here together with a post office, the general hospital and some local government offices as well. Tanah Rata is where most visitors are likely to stay as it has a variety of accommodation options here. Families tend to come here and rent an apartment where they can cook and have gatherings. Further from Ringlet is another small town located about 2 kilometers from Ringlet is Bertam Valley, an agriculture town which is now built with a new highway linked to Teluk Intan and Raub Pahang. Tanah Rata is also the main transport depot of Cameron Highlands, this means that if you are coming by bus or taxi, it will stop at the main bus station which is also where you will board when you leave the highlands. Tanah Rata is also known to be one of the most tourist friendly areas in Cameron Highlands. There are rows of shop that houses souvenir shops, banks and eateries all at arm’s length. For the adventurous, head out to the jungle tracks that goes to the Robinson Waterfalls. Travel agents, budget hotels and money changers are abundantly scattered here to cater for tourists who come here. Tanah Rata is often the starting point if you want to visit the nearby strawberry, tea or flower farms. Day trips can be arranged from here. The next town is perhaps the biggest among the three, which is the main attraction in Cameron Highlands. To a certain extent, food might cost slightly more as the town is restaurants in brinchang. Brinchang is busier and exudes a more commercial atmosphere most probably because it is the connection point to the nearby farms and plantation. Located about 3 kilometers from Tanah Rata, Brinchang too has a lot of accommodations options like hotels, chalets and apartments. Basically the two towns in Cameron Highlands are similar in terms of pricing and types of accommodation as they are very near to each other with similar facilities. Once in the town, you will be faced with common city happenings like a vibrant night life, busy traffics and eateries alike. Apart from the typical coffee shops that serve all types of cuisine ranging from seafood to steamboat to local delicacies, there are also fast food chains like KFC brinchang. Marrybrown and kopitiam cafes. You should check out the Cameron night market (Pasar Malam) here where you will are able to get fresh Cameron grown vegetables and flower produce from the abundantly available plantations in Cameron. Local Cameron Highlands craft and clothing are also available, otherwise take the opportunity to try the local delicacies here. More info about Kea Farm town. New township between Brinchang and Tanah rata which is Barrington Square.